ONLY 24K miles, Loaded! SPORT-, Prem. 1 and Driver Assist Package, Surroun Viw Camera, 20" AMG multi Spoke Wheels, Comfort Box, Blind Spot/Lane Keep Assist, Keyless-Go/Comfort Access, Parktronic with Active Parking Assist, PRE-SAFE Brake with Pedestrian Recogn., PRE-SAFE PLUS with rear-end Collision Protection, BAS PLUS with Cross Traffic Assist, DISTRONIC PLUS with Steering Assist, Dual Power Active Heated/Cooled Multi Contour Memory Seats with Massage, Panoramic Roof, Adaptive Cruise Control, Power Tilt and Telescoping Wood and Leather Steering Wheel, Power Rear AND Side Sun Shades, Burmeister Surround Sound, 6 CD Changer, Satellite Radio, HD Radio, Bluetooth, PALLADIUM SILVER with BLACK Leather Leather, Black Poplar Wood Trim, Trim, Illuminated Door Sills, Adjustable Suspension (Sport/Comfort), Navigation, Power Folding Mirrors, Electric Trunk Closer, Headlamp Washers, Adaptive Highbeam Assist, LED Headlights with Active Curve and Corner Illumination. This car is in EXCELLENT condition and is under full factory warranty till December 2019! We take TRADE-INS, offer GREAT FINANCING rates. This car is Carfax and Autocheck certified! 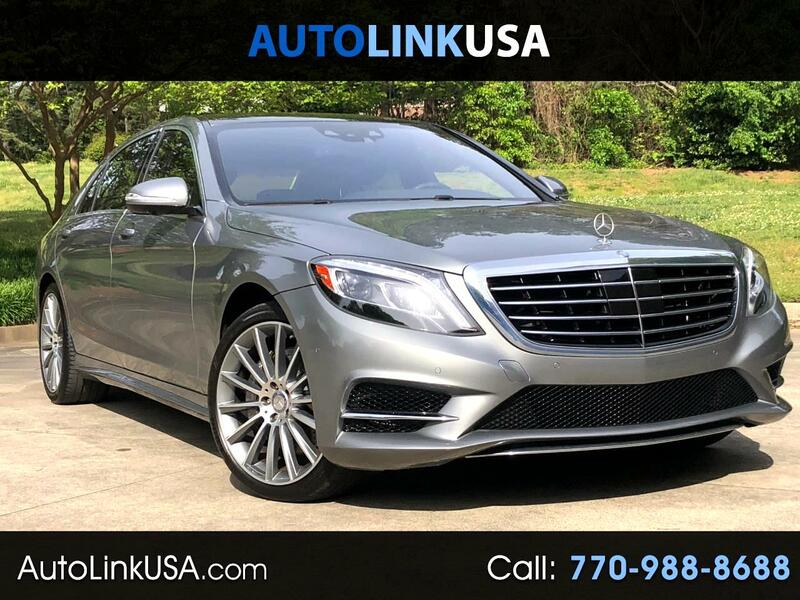 For a FREE report please visit our website http://www.autolinkusa.com, or contact us by phone (770)988-8688, by email at info@autolinkusa.com, or text 770-480-1385.